Does that look like a typical weighted grading system for a class? But, what does the grade we give at the end of the class mean? Is it supposed to reflect the learning that has occurred? If so, then maybe we should only count the last test. Is it supposed to reflect the improvement? If so, then a student who does really poorly on tests and quizzes for the first half of class, but that figures it out by the end should get an A (but will not). Is it supposed to be a reflection of the day to day work and effort that they do all year? Then our daily participation and effort percentage should change to 75%. Should we even grade homework? Is it important that they do it? If so, shouldn’t it be more of a part of the grade? 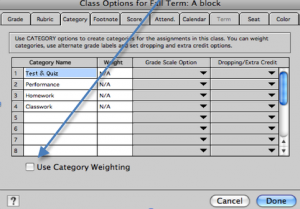 Is that homework graded based on attempt or only correct answers? Is the grade supposed to be a reflection of the regurgitation of content? If so, give a huge multiple choice test with no discussion. Is it supposed to be an analysis of content? Then let our exams be all essay and short answer instead of multiple choice, matching, fill in the blank. Is it supposed to be an application of understanding? Then an in-depth project that incorporates and requires application of a variety of cumulative skills should be a majority of the grade. Students say a teacher gives a grade, but teachers say students earn it. Which is it? Is there any truth to what the students say? Teachers, have you ever given a pop quiz because you know most kids did not read? Teachers, have you ever made a test harder than usual, or worse…..easier than usual? Why? If a student bombs one major test, but gets A+ on everything else, what grades does he earn? If a student is apathetic every day in class but gets A+ on all tests and quizzes demonstrating unquestionably that she ”gets “ the material, what grade does she get? If a student works hard all semester, participates in class, tries hard on all homework and assignments, but in the end just not quite “get it” so does poorly on tests, what grade does he get? Teachers, have you ever curved a test? Why? How does that sync up with you grading system? Teachers, if test grades do not follow a standard Bell curve, is that OK? If all students have mastered the material and demonstrate that effectively on an a solid evaluation, is it ok if all students get “A”s? 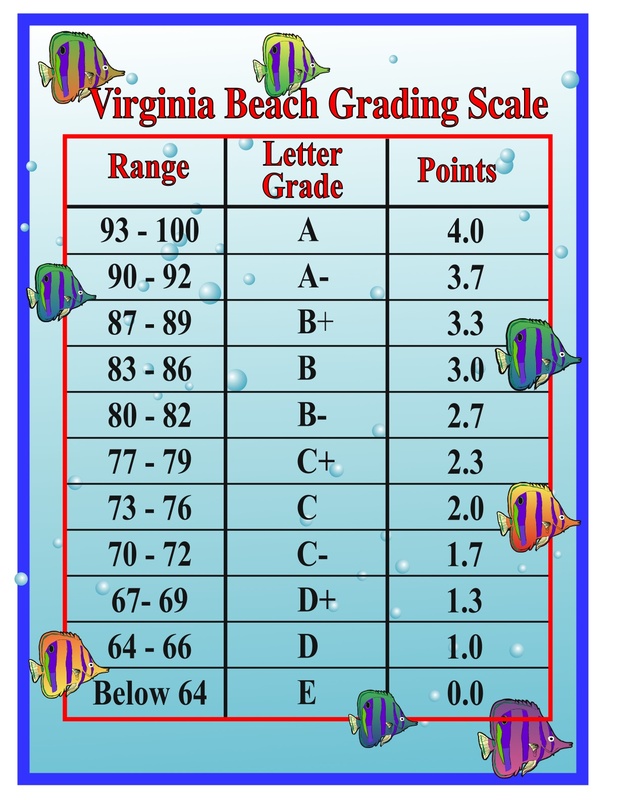 So, you see, a grade is actually very complex, yet there is no standard at any school, in any district, or college. 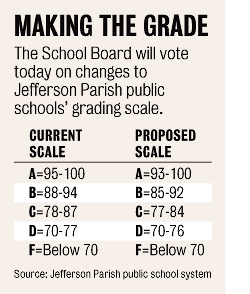 Schools even use different number systems to define letter grades. Some school use + and -, some don’t . Some use larger bands for B and C. Some allow D as passing, some do not. Some high schools “weight” Honors and AP class grades, some do not. Teachers even within the same department have very different scales and weight percentages. Teachers sometimes even have completely different categories. I am not suggesting that this is necessarily bad, just something to consider. 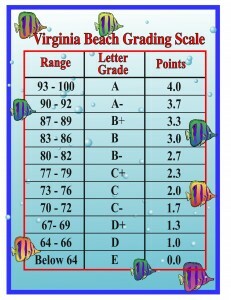 And maybe something that may push us into considering that we move away from looking at(and using) grades like we do. Teachers hate when students only seem to care about the grade, yet don’t we dangle it in front of them all semester long? So how can we possibly compare a grade from one school to another, even for the same class? When we know the classes are probably far from similar in the first place and most likely the grading as well. And if the answer to that question is that we really do not have to compare them, then I’ll re-ask my original question, what does the grade a student gets in a class mean? So in conclusion, I’ll ask the same question yet again in the biggest sense: what does the grade a student gets in a class really mean?